There seems to be general agreement with this assessment but Pentreath was also known beyond the Tamar where he was a highly thought of portrait artist and a regular exhibitor at the Royal Academy between 1844 and 1861. 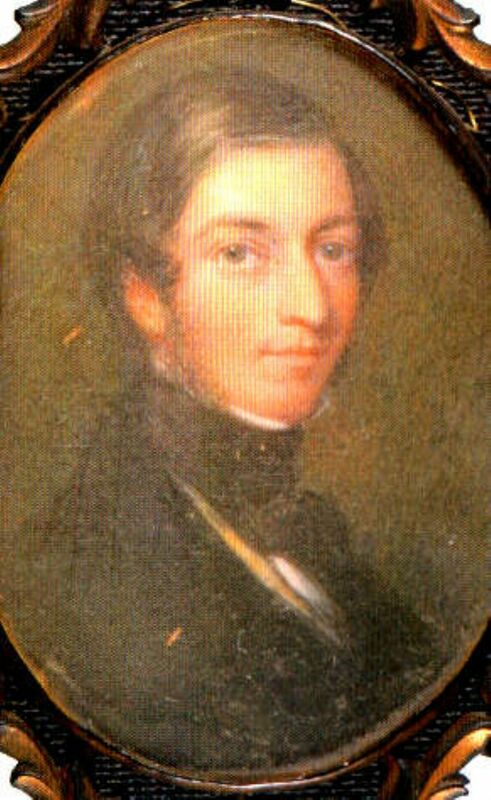 Born in Mousehole on August 1st 1806, the son of Richard Pentreath and his wife, Julia Badcock, he was the first of Richard and Julia's five children, all born between 1806 and 1814. The Parish Register entry for James, the youngest child, reveals that his father was a schoolmaster . I have been attempting to paint pictures in oils lately, but have not yet got any good colours, particularly green and yellow; if you can give me any hint on the subject I would thank you. Or if you could send me a bit of good green and yellow, shall be much obliged. I have not yet determined what business to be – have been thinking to be a painter. By 1831 Pentreath had moved to London where he married Mary-Ann Asberry in the parish of St Martin in the Fields on 9 April 1831. Richard and Mary-Ann evidently moved back to Penzance in the early 1830s, their son Richard being baptised in Paul on 10 March 1835. By 1841 Richard and his family were living in Clarence Street in Penzance and he gave his occupation as spirit merchant. He was also working as an artist however and among other commissions had produced illustrations for Courtney's Guide to Penzance and Views of Penzance published by Vibert in 1833. During the 1840's and 1850 Pentreath was a regular exhibitor at the Royal Academy, most of his pictures being of Cornish scenes. Throughout this time however he was busy working on portraits of the great and good of Penzance, possibly spending part of his year in Cornwall and part in London where he is also said to have been in demand as a portrait painter. In January 1884, 15 years after Pentreath's death, the Mayor of Penzance, Charles Campbell Ross M.P., opened the 8th Fine Art Exhibition in Penzance. Held in the newly opened School of Art in Morrab Road, the exhibition featured a collection of the works of Richard Pentreath, many of them the portraits he painted of local Penzance worthies. The Cornish Telegraph's correspondent estimated that there were about 90 of Pentreath's works at the exhibition including some 40 of his portraits, among them Thomas Bolitho of the Coombe, Richard Pearce, Richard Quiller-Couch, John Batten the four times mayor of Penzance, Charles Coulson, Samuel York, John F. Branwell, Francis Boase, Mrs Childs (the mother-in-law of John Batten), Helen Holmes Batten and her baby (Helen Holmes Batten was the wife of John Batten and daughter of Mrs Childs) and Ralph Hacker Bodilly. These were the people who ran Penzance in the mid 19th century, the merchants, bankers and mine owners and we have Pentreath to thank that we know what they looked like. Not only do we have pre-photographic images of these men and women but we can also see detailed views of the west Cornwall in which they lived courtesy of Richard Thomas Pentreath's engravings for Besley's Views of Cornwall and his celebrated landscapes and coastal scenes. Pentreath painted Mayor John Batten and his family at the 'height of their power', almost certainly in 1839 during John Batten the fourth's third mayoralty. There are three pictures: one of John Batten himself; one of his mother-in-law, Mrs Childs; and one of his wife and child. Helen Holmes Batten sits with her infant child on her knee, the infant is Helen, baptised 19 October 1838 and the couple's first child. 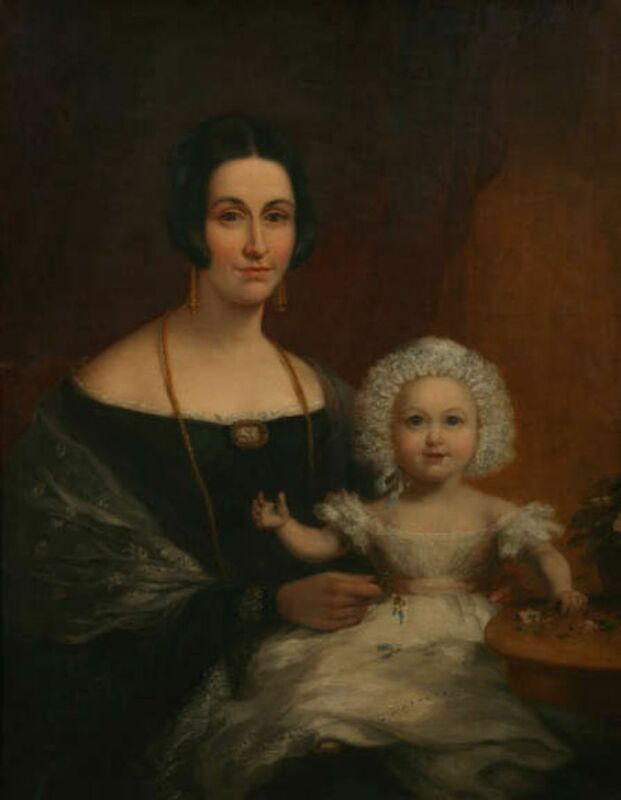 The painting is entitled Mrs John Batten, Mayoress of Penzance and Child. Helen's title of Mayoress means that the painting must have been done in 1836, 1839 or 1843, the years of her husband's mayoralty. In 1836 they had only recently married and had no children, in 1839 they had one child, Helen, aged maybe eight months and by 1843 they had four children: Helen who would have been five and a half; John three years; Joseph about two years; and George at maybe six months. It seems unlikely that Pentreath would have painted Helen in 1843 with only one of her children so the logical date seems to be 1839, probably in the period April – June. This is about as good as it gets for the Batten family. John will be mayor once more, he is partner in the successful bank of Batten, Carne and Carne which his great grandfather had started back in 1797, he's a successful merchant, a tin smelter at Trereiffe and purser of a number of mining ventures including the fantastically successful Levant, the famous Ding Dong and Wheal Reeth near St Ives. The family business has been developing for over 100 years but in 1849 John Batten the fourth will announce the firm's bankruptcy, he'll leave the bank for the last time, resign his purserships and more or less retire from public life. This subject will be covered by On This Day in November. Richard Pentreath spent his last years in Exmouth where he died in 1869. R.T. Pentreath, notes provided by Penlee Gallery of unknown authorship but possibly from the painter's family.